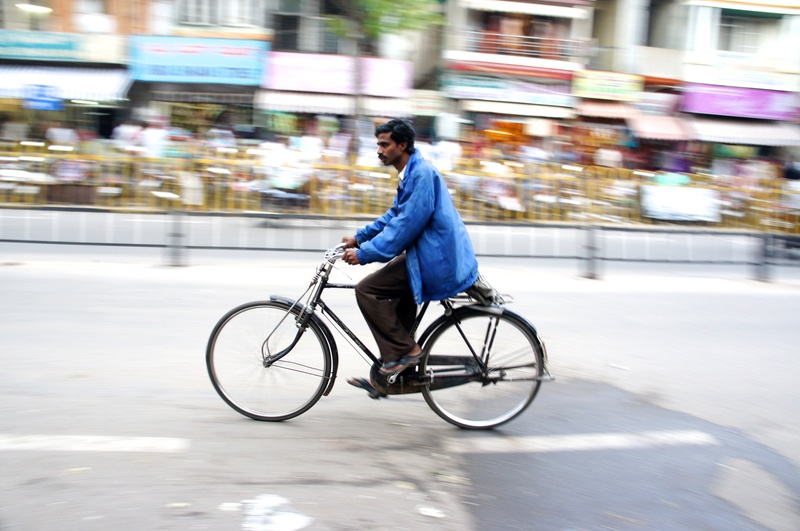 Mysore hopes to develop a cycling culture in the city. Photo by Joseph Swaine. This blog post is a part of the Catalyzing New Mobility program, supported by the Rockefeller Foundation. Mysore, a historic city in southern India, is home to numerous palaces and ancient monuments and is the second largest city in the state of Karnataka. While this 600-year-old city is home to less than a million people, an average of 3 million tourists visit Mysore each year — especially during the Mysore Dasara, a historic 10-day festival held in September and October filled with music, dancing, processions, a torch-light parade, and other cultural activities. Mysore’s mixture of local commuters, tourists, students, and visiting business professionals, makes Mysore an ideal environment for biking. Recognizing this, the Government of Karnataka’s Directorate of Urban Land Transport has taken an interest in developing a public bike-sharing system for Mysore, with funding support from the Global Environment Facility and has recently undertaken a pre-feasibility study for the project. EMBARQ India was invited to review the pre-feasibility report and to determine the station locations for the bike-sharing project. The inner city area was identified as the first phase of the project, since this would ensure sufficient station density. Potential users like tourists, students, and visiting business-people were identified, and key locations within the inner city area were determined based on the City Traffic and Transportation Plan. Tourist locations, like the palace, museum, zoo, and St. Philomena’s Church; commercial and business areas; public transport hubs, like the railway and bus stations, and other important nodes like hotels, and retail establishments were mapped out. Ideal bike-sharing station locations were determined based on the proximity to key attractions, availability of land, and expected usage of the system. It was decided that 38 stations, each 250 meters apart, would be ideal for the inner city area. A report, Public bicycle sharing scheme for Mysore–station locations, was compiled and submitted to the city’s Directorate of Urban Land Transport, following which, a consultant was hired to develop a Detailed Project Report for the implementation of the Mysore bike-sharing system. As Mysore continues to attract local and international tourists, the development of a cycling culture among tourists and locals in this iconic Indian city, it is envisioned, will help the city to preserve and celebrate its unique historic and cultural identity.